SAN DIEGO, Calif., March 23, 2018 (SEND2PRESS NEWSWIRE) — Lower Extremity Fellows, Residents and Young Surgeons from leading U.S. Orthopaedic Centers and Hospitals will attend the 1st annual Lower Extremity IEP Fellows & Young Surgeons’ Course, to be held in Austin, Texas, May 18-20, 2018, Magnifi Group announced today. “This is the premier course in the U.S. that combines leading senior surgeons with young surgeons in practice, Fellows in foot and ankle, and senior residents who are planning to enter foot and ankle,” Dr. Pomeroy said. 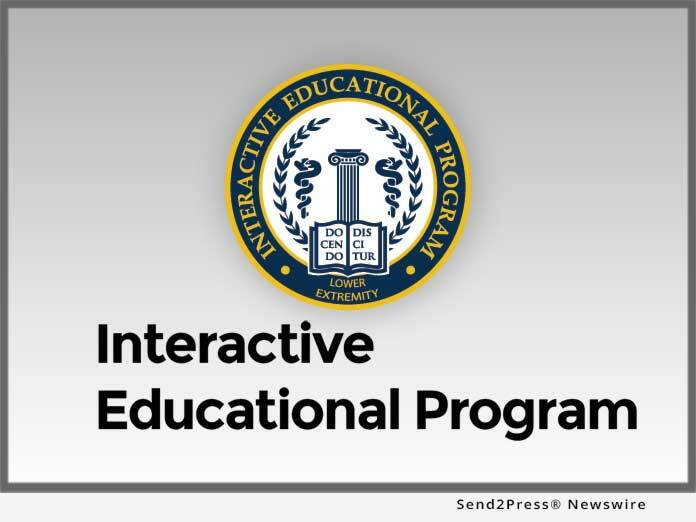 ”The course is designed for interaction between faculty and attendees,” Pomeroy added. The course will be held at the Omni Austin Downtown and is exclusive to foot and ankle orthopaedic fellows, final year residents, and young surgeons within their first three years of practice. For more information visit the 2018 Lower Extremity IEP Fellows and Young Surgeons’ Course website at: http://lowerextremity-iep.com/. For over 12 years, BESPA USA, now known as BESPA GLOBAL has been dedicated to improving patient care through education and advancements in medical science. Their unique model is changing the way Medical Companies and Health Care Professionals work together to improve patient outcomes. "This is the premier course in the U.S. that combines leading senior surgeons with young surgeons in practice, Fellows in foot and ankle, and senior residents who are planning to enter foot and ankle," Dr. Pomeroy said.